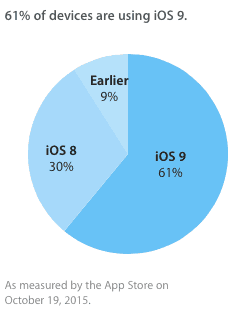 iOS 9 is crushing it in adoption figures. The public version of iOS 9 has been available for just over one month, and already it’s passed the 60 percent adoption threshold — with 2x the number of users as are currently using its predecessor, iOS 8. The numbers were detailed in Apple’s latest developer figures, which were gathered by monitoring visits to the App Store on October 19. In addition to the 61 percent of people using iOS 9 and the 30 percent using iOS 8, the remaining 9 percent is made up of people on older iOS versions. It’s an impressive statistic, which is significantly faster than iOS 8 managed last year. By comparison, it took iOS 8 almost six weeks to hit 50 percent adoption. It’s also much, much better than anything Android can muster. The closest Android rival to iOS 9 numbers are those Fandroids using KitKat. KitKat currently has 38.9 percent user adoption — although it’s had the advantage of being around since September 2013, or two years before iOS 9. Yesterday Apple launched iOS 9.1, bringing dozens of new emoji, extra wallpapers, iPad Pro and Apple TV 4 support, Apple News for non-U.S. customers, and several other tweaks. 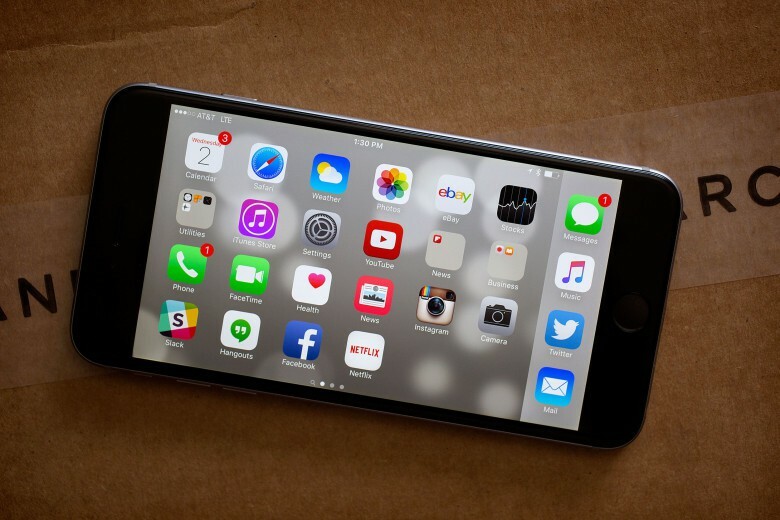 Have you updated to iOS 9 yet? Leave your comments and explanations below.